My H2 which when fully rigged weighs 74kg came on an ali trolley. Its a light boat on a light trolley and as a result can rock around alot when rigging it on the beach in a breeze and the floating trolley gets some getting used too but is really nice when sailing by yourself outside of normal sailing times on a lake as you can more easily launch by myself and easily get the trolley when I get back. Some guys with H2s at my club have a steel trolley and you really do notice it on the slip as a light boat on a light trolley is so easy to drag around! You need to redefine your weight description perception 'light' starts at <50kgs and goes down from there. A Solution is fairly light, as is a Streaker, and the Farr 3.7, the Aero of course, even the D0. anything over 50 kilos is not light and anything 65 kgs or above is heavy. Given that Health and Safety refuses to permit anything over 32kgs being handled by one person, until recently almost the entire dinghy population was in breach of H&S guidelines. Sorry to be a pedant, but weight has always been my biggest gripe about dinghy boats where it is unnecessary in this day and age. 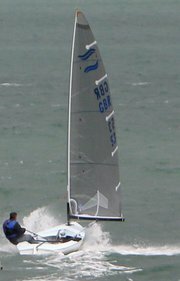 And here's a thing, I recently asked to be quoted for a carbon decked streaker like my Farr 3.7.. guess what.. Handled by one person or lifted by one person? I just had a look at the HSE Risk assessment of pushing and pulling (RAPP) tool, and it seemed to me the biggest risk factors are not so much the weight as the environment - slopes, poor surface, obstructions etc). 50-100kg on two wheels scored amber risk, but the average dinghy park is red for obstacles. With the exception of the d0 I am willing to bet you that all of those boats weigh more than 74kg when you add the mast, boom, sails, foils etc. Do try and read the post! H2 rig, foils etc weigh 20kg then, I suppose the Solution might be slightly heavier than H2 with it's tin rig boats, others should be lighter though. Sam the H2 hull is 56kg so yes the rest weighs in at 18kg. Bear in mind the spars are all carbon as are the foils I think you would find that most on that list are >75kg and anything with a tin mast or boom will be significantly heavier! I just think we all imagine that our boats are lighter than they really are. The Farr for example - I assumed that as it is small and made for midgets that it would be light but the hull weighs 50kg!!!! The H2 is a lot more boat than the others mentioned. 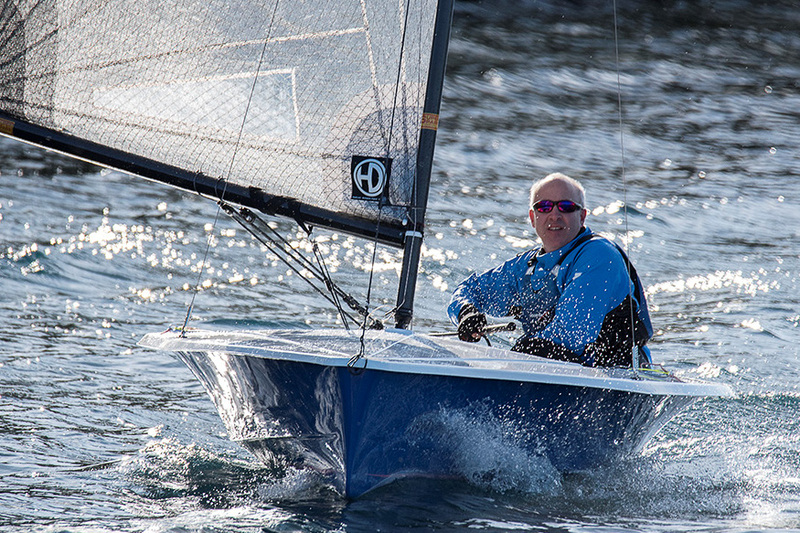 Are we back to complaints about boats being heavier than windsurfers again? If so, then the Father Ted episode in the caravan may help? A genuine 50kg is still pretty light for a 12ft length, 5ft beam boat that is often built from wood. And its a measured weight, not a manufacturer's brochure weight.